Order your Fender American Pro Stratocaster Replacement Neck Maple Deep C from AMS and enjoy 0% Interest Payment Plans, Free Shipping, Free Extended Warranty & 45 Day Money Back Guarantee. 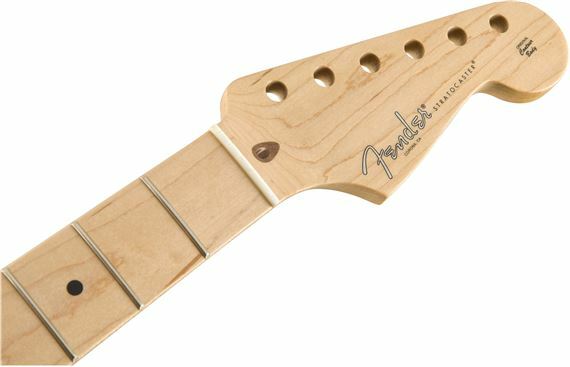 An easy upgrade for any Fender or Squier Strat, this replacement neck features an innovative and comfortable Deep C profile for a natural feel! Crafted in the same facility as Fender’s U.S.-made instruments, the American Professional Stratocaster Neck is well-suited to any playing style. Other features include a 9.5 inch-radius maple or rosewood fingerboard, 22 narrow-tall frets, bone nut and a satin urethane finish on the back.